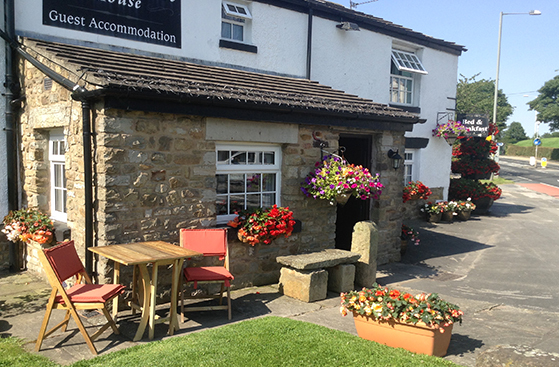 The Olde Duncombe House is a traditional cottage style B&B situated on the A6 alongside the picturesque Lancaster canal. The village it lies in, Bilsborrow, used to be known as Duncombe village. Although not much is known about its history the building is believed to date back to the 16th century. It is said that at one-time Bonnie Prince Charlie’s men slept in the3 barn attached to the main house; the barn has now been converted into the proprietors main living area. We like to ensure that your stay is as comfortable as possible, so amenities are plentiful in our guest rooms. There are a number of different sized bedrooms available, including family, double/twin or single occupancy. Additionally there is a lounge downstairs if you fancy meeting other guests or relaxing on the sofa. The full works, our English breakfast is made up of the finest quality ingredients and is sure to set you up well for the morning, whatever level of activity you have planned. Don't fancy the full English? Not a problem. We also offer a range of delicious alternative breakfast choices and are able to cater for a number of special diet. Whilst there may not be that many bars and shops, you'll never be short of something to do when you stay at Olde Duncombe House. For those of you who like to explore the outdoors, Beacon Fell Country Park is just 4 miles away from the house and is teeming with wildlife. It is necessary to visit in order to appreciate just how much there is to see and do here. In fact there's so much that you'll want to come again!